← Prague’s Beautiful National Theatre! I am truly honored and most appreciative! Thank you~! Oh I think it is most generous of you to share your travels with us hermits….and everyone else, too. Thank you. Thank you to you my friend x2! Prague is a beautiful city. Thank you for posting the photographs, Cindy. Thanks for bringing those vivid colors to us! wow doesn’t even come close to describing the magic before my eyes! It is the most beautiful city I have seen to date. Thank you! So very kind of you! I am honored and appreciate your thoughtfulness! Cheers to you! Feel free to post at ExploreDreamDiscover on FB if you want more exposure. Not sure if will help or not but you have some nice content. Thank you. You are very kind & cheers too! (FYI Ms Cruising Elite, We will be going on a 10 day Victoria/Alaska cruise 5/30~6/9. Booked one of those last minute deals… due to it is round-trip SF… no planes! It is amazing, though we never met in person, yet, I miss you that you are not in Holler, CA. Please erase this last parenthesis after you read it. Woo Hoo!! You will love the Alaska cruise into College Fjord. Round trip from SF sounds ideal. Last minute bookings are the best!! Thank you for your kind words my friend. They are most appreciated and something to think about as well. Cheers to you and enoy your trip! Boy, that color is just a feast for the eyes – amazing! 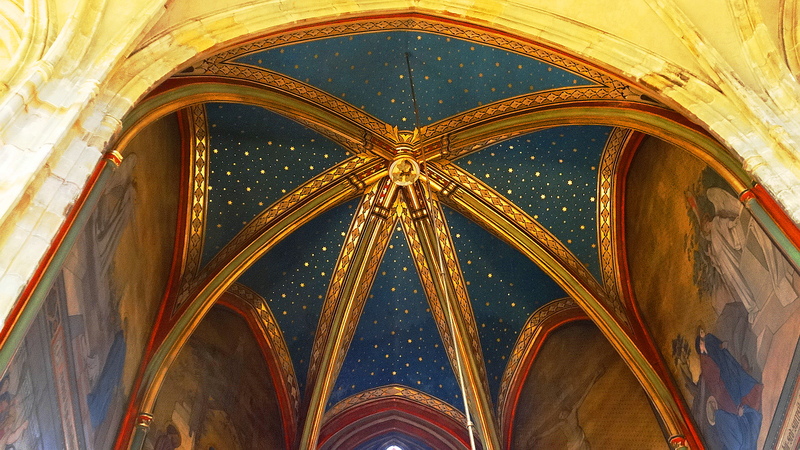 I just notice a common roof or ceiling design pattern. 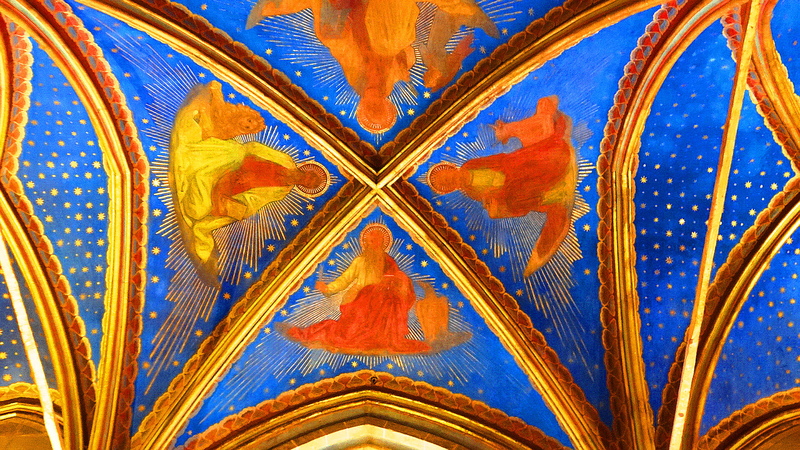 The roofs/ceilings are the same design. The colors are very vibrant. Nice! 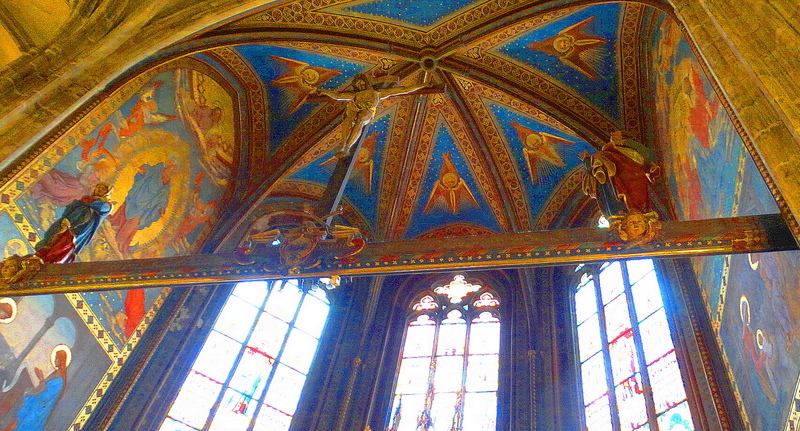 Yes, they have these brilliant blue ceilings with paintings or gold stars. Gorgeous! Beautifully vibrant photos. Thanks for the post! Wow, what beautiful pictures Cindy! Thank you so much for posting these so I could see some of the beauty there. I’m sure I’ll never be able to visit there. Thank you Keli!! I am so glad you liked them. Cheers & thank you! More intense colors from the city of art and design. Thanks for the travelogue. Wow, beautiful colors and art. Great photos. Yep! Train from Prague to Berlin was……uh interesting! Your oving date coming up soon……. So exciting about the new house. We are in the middle of football mayhem here in Berlin!!! Out hotel is about a 1/4 mile from the Brandenburg Gate where 250 K are massing…..YIKES!!!! Cheers to you cuz……..
You are so right! Even Italyphile Jim admits it is the most stunning city he has seen, along with Rome! wow! the first photo is… sublime! wow! Thank you Rusha for appreciating! I never fail to be awed and stunned by the beauty of the buildings you can see as you travel in these countries. Just spectacular. Well done! Beautiful photographs, Cindy. Thank you my friend and say hello to Paris for me! The paintings were some type of black light paintings or something. There is a Black Light Theatre nearby. I didn’t really pay to much attention to the paintings, I just like there appearance in the archways with the light in the back and the front of the building in the way back. I thought it looked neat. Talk your kids to Prague! They have lots of marionettes here and marionette shows and street performers and swans to feed!! Cheers to you and thank you! Such a beautiful riot of color! How pretty is this vacation spot you chose! Such a vibrant skyline! 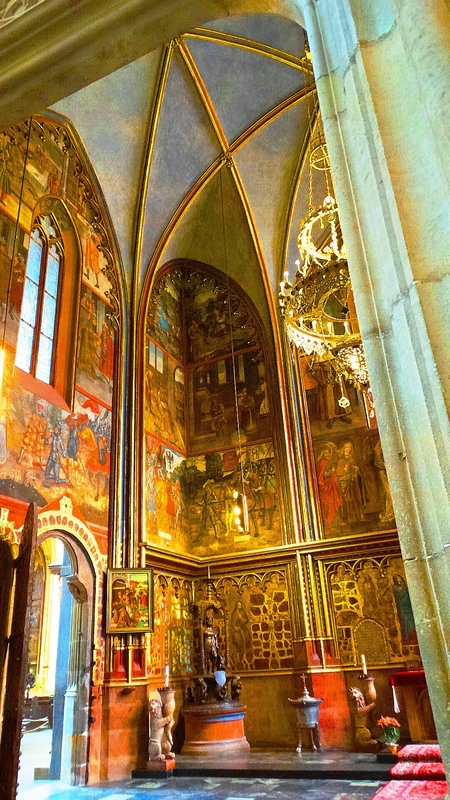 Your photos really bring out the striking colors and architectureal beauty of Prague. Thank you for the kind comments!!! 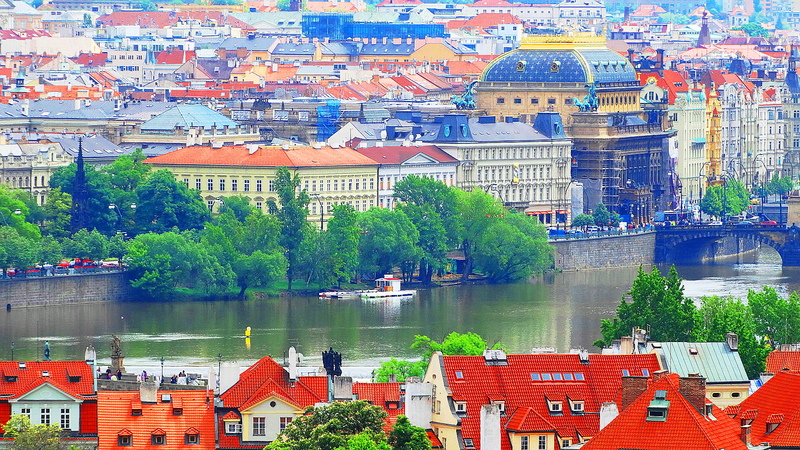 Prague is such a vibrantly beautiful city…do you have any idea of who/why this came to be? It is interesting isn’t it? 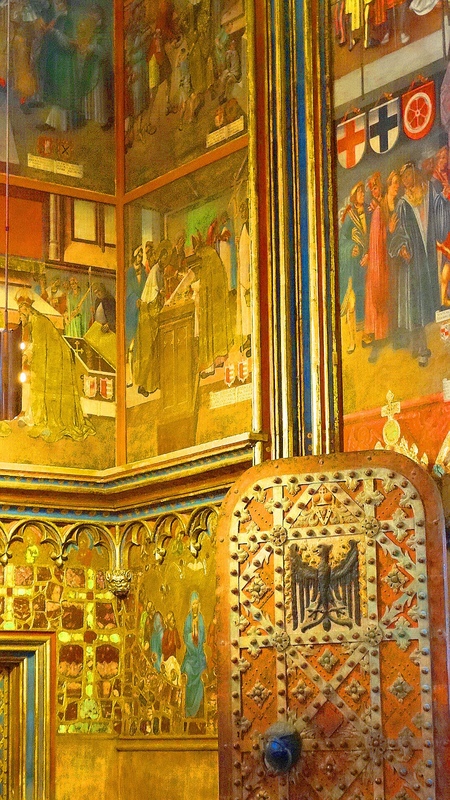 It is a very old city and yet the old colors were so intense and intelligently/artfully used. I hope someone who has more knowledge about Prague may step in (Katy where are you?) It may possibly be because Prague is in eastern europe where color is utilized more? 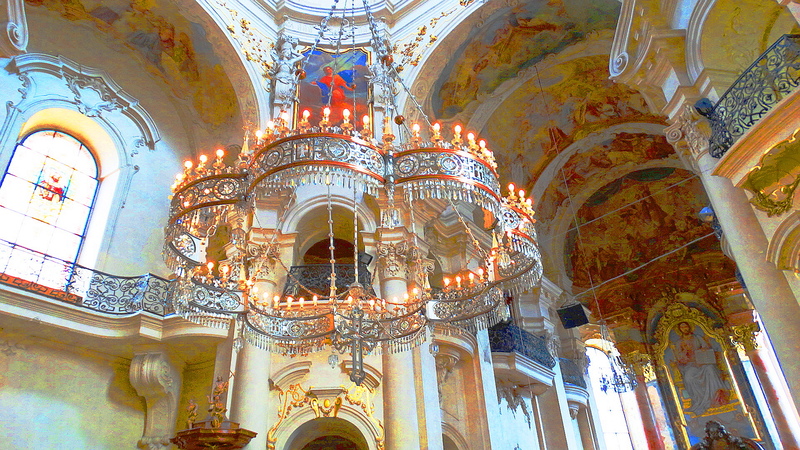 Visiting Prague has sparked a serious interest in me to visit Budapest, Istanbul and St. Petersburg. Enquiring minds want to know……. Living down here in Australia it is just so hard to grasp the concept of how old these beautiful cities are. Thanks for sharing these photographs, truly beautiful. 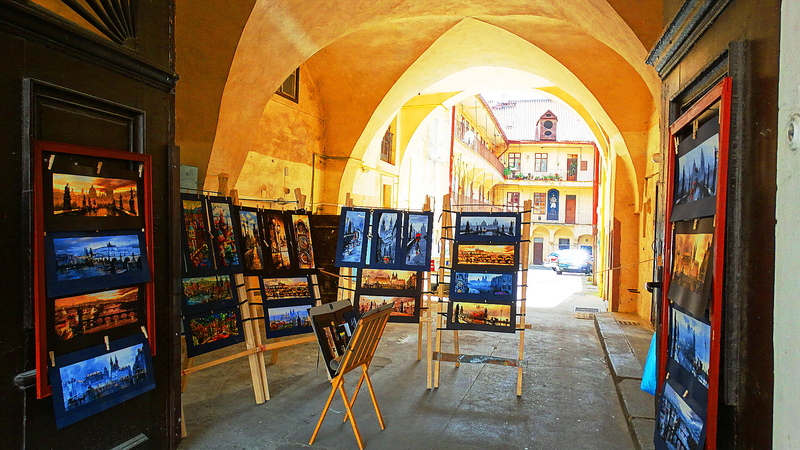 Yes it is the same in the states…..We just do not have this incredible, old, art and architecture all around us. So seeing it takes my breath away……. Ahhh, you are very kind! Stay calm. I am a licensed mental health provider. I can save you. Book a round trip flight to Prague. You can take your own photos and stare at them.